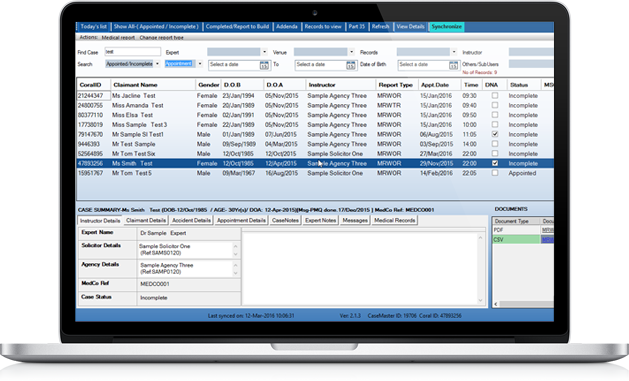 Coral Reports complies with Medco Requirements to assist MROs and Experts, It auto builds CSV files for each MedCo Case along with Injury Details. Appointment date and time spent are displayed in the front page along with MedCo ID. Reporting format up-to-date with MOJ specification & MedCo Requirements. Reports are compliant with CPR guidelines. Prepare 4-5 reports in an hour. Reduces free texting in the reports. Provides seamless communication between Instructors & Medical Reporting Organisations. Instructors can download invoices and completed reports. C-Diary integration means Effective Communication. I have used CORAL reporting system for more than a year. It is user friendly and very accurate. The CORAL team are always readily available for any advice.